This happened me before (when it was only the EU server) and now. I use 32-bit system. Wifi conection, and I'm from South America. What can I do? Last edited by MrFede on 19 Jul 2016, 01:58, edited 1 time in total. Hey you man! I have the same problem I was going to post same thing , I'm from Bolivia, south america too. How I can solve this? I want to play.. Sorry for the trouble. That is very likely due to the huge amount of people who want to play at the same time. We are working on getting this solved. If you do not make it into the game by tomorrow morning please send me an email to support@fairydist.com and I will figure out if there is another problem at work. dbltnk wrote: Hey you two. Thank you very much, I am trying to enter but the problem is still there, I hope I can play today. And then, "loading failed". 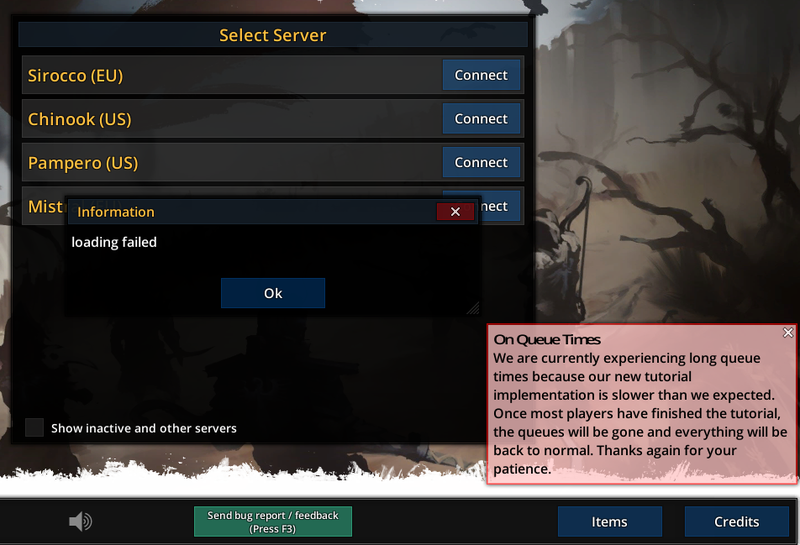 I don't think is a queue problem but I don't know. @Mrfede and everyone who has that problem: We're working on a fix for this. Can you please send me an email to support@fairydist.com so I can notify you when it's online? Thanks! 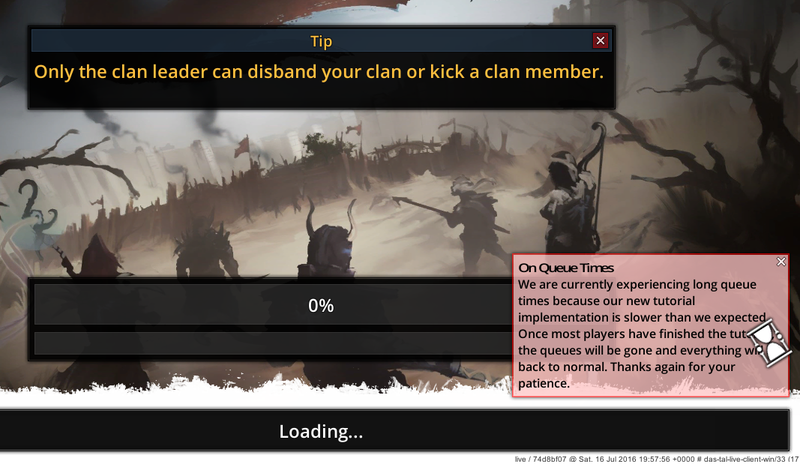 Like first time: "loading failed" after the loading screen at all Servers. hello, i have same problem, waiting patch. Hi Alex. Like xxranikxx said, the patch didn't fix the problem; "loading failed" is still there with no change.